In this Hvac filed, the electricians need more than what ordinary clamp meters can do. Equipped with DCμA function for flame rectification or heating sensor test. Capacitance and temperature functions are also designed for fitting the needs in the Hvac applications. 1ms Peak Hold function for fast capture of signals. 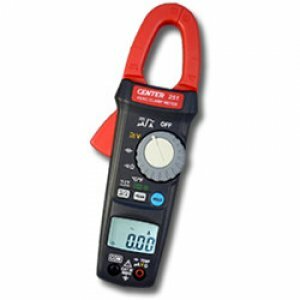 CENTER 251 is also a True-RMS clamp meter and its safety rated 600V CAT III.